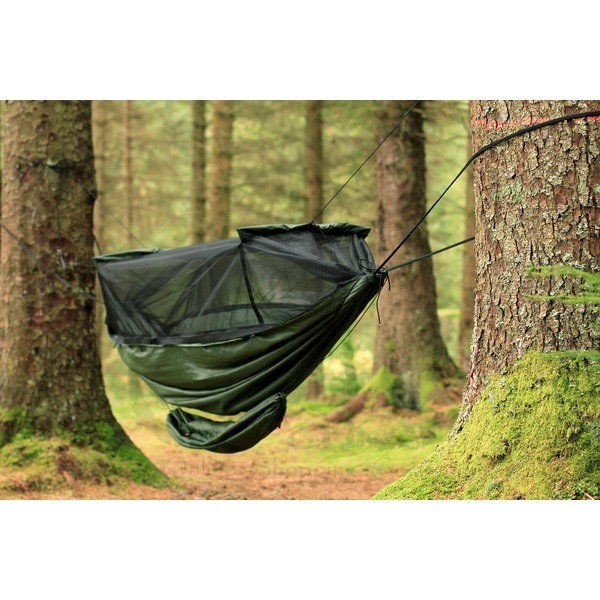 Now there is a hammock for your gear! 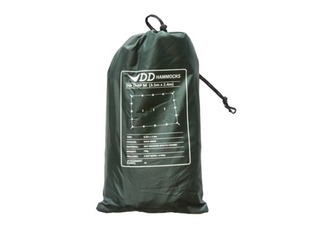 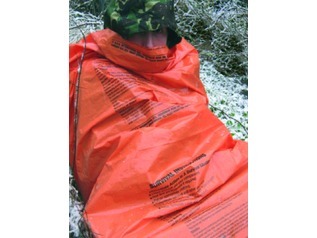 Keep your outdoor equipment safe, secure and protected from the elements with the DD Gear Sling. 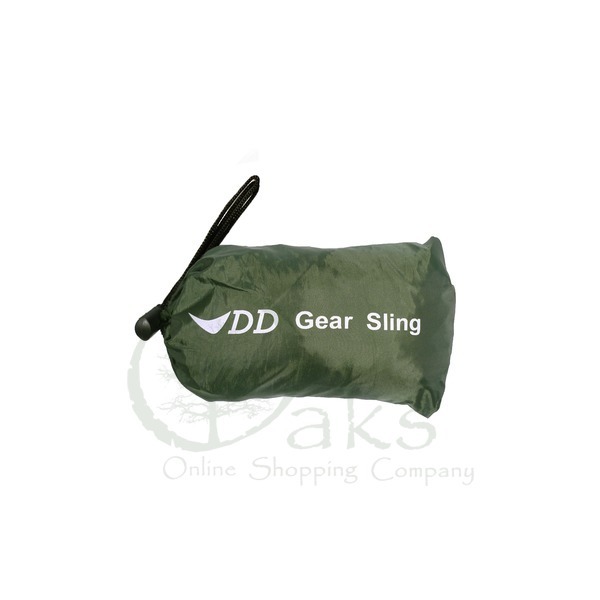 The sling is supplied in a pouch and it’s small enough to fit most pockets. 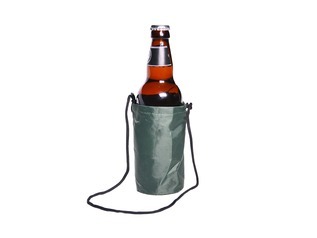 Included are 3 lengths of paracord. 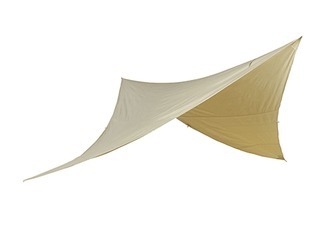 See the second image for how the sling works alongside a Frontline Hammock (hammock sold separately). 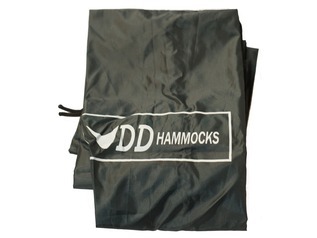 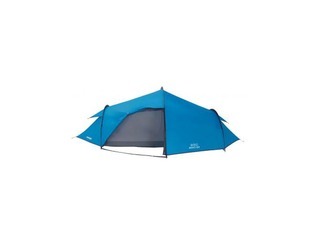 1.2m x 1m sling - attach it underneath your hammock for easy access, or anywhere else! 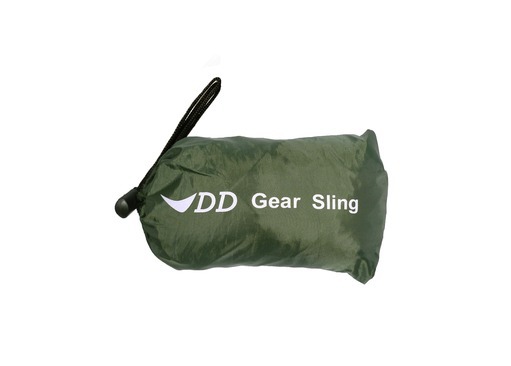 The sling is for gear only and not to be used as a hammock.